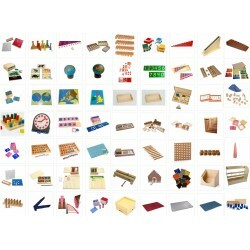 The main items you need to set up a Montessori School (Ages 6-9). 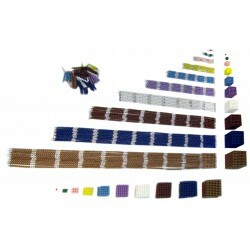 Save £250 and get £72 in Loyalty Points for your next purchase. 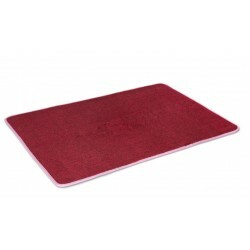 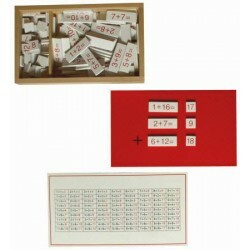 By buying this product you can collect up to 362 loyalty points. 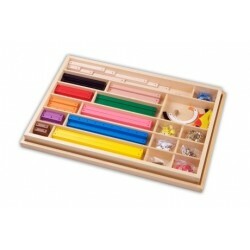 Your cart will total 362 points that can be converted into a voucher of £ 72.40. 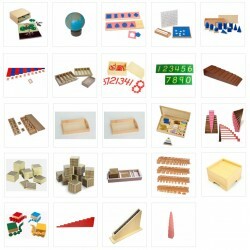 The main items you need to set up a Montessori School (6-9). 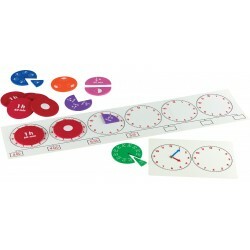 Picture above (of all items) aims to be accurate but substitutions are possible with individual items so please see below for real-time included items and quantities. 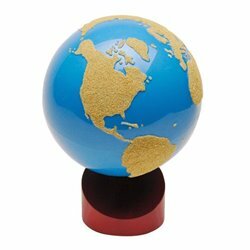 Wooden map and flag stand, 36 flags. 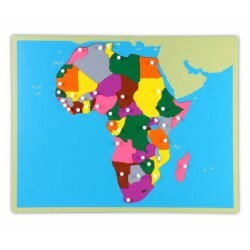 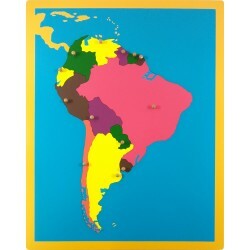 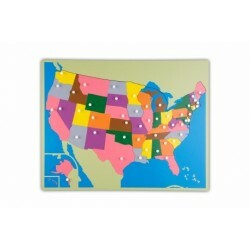 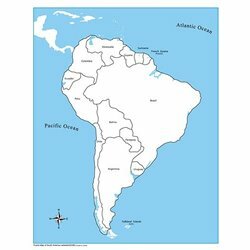 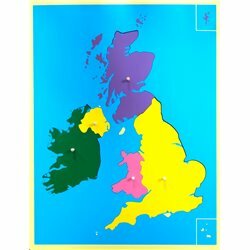 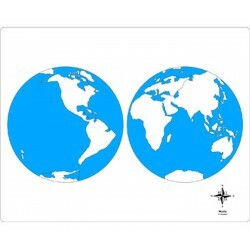 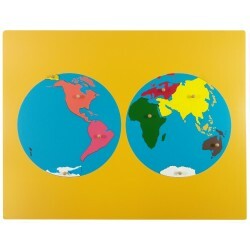 Individually removable European countries teach even adults a country or two! 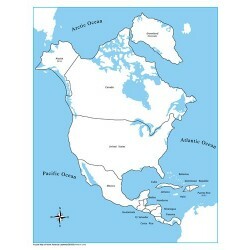 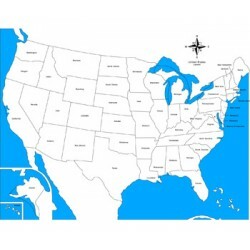 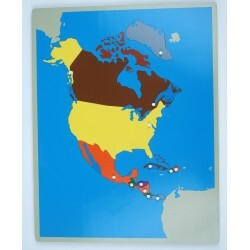 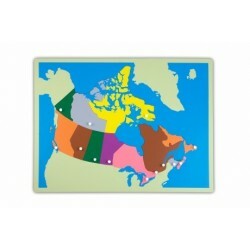 Overview of the different nations of North America. 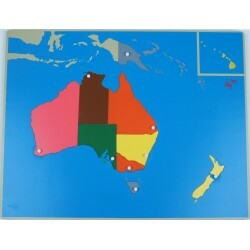 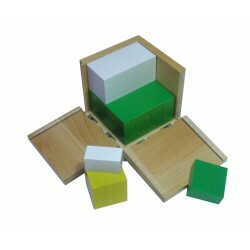 The stand can store up to 8 puzzle maps, available separately. 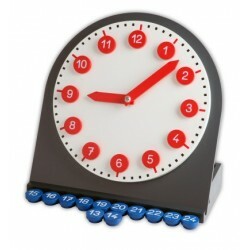 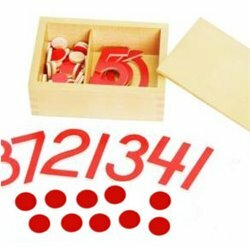 Wooden clock with removable numbers to learn the measurement of time. 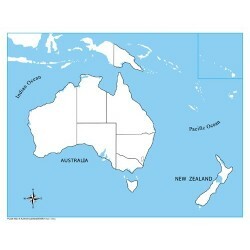 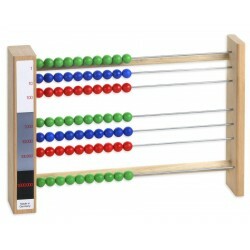 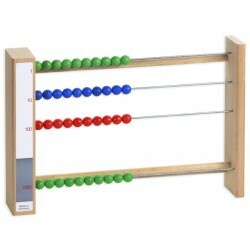 Teaching calculations such as "a * a * b" or "a² * b"
For learning and practicing addition and subtraction. 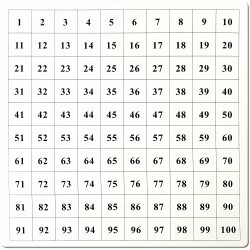 Prepare for written addition and subtraction. 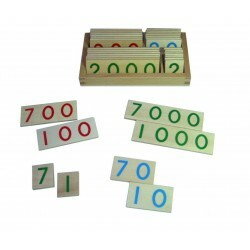 The Power of Two game shows visually the effect of doubling. 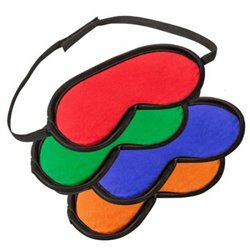 Visually learn the effect of the power of 3. 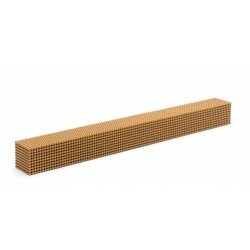 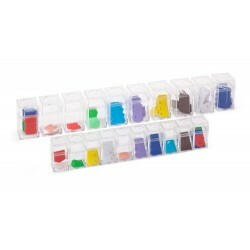 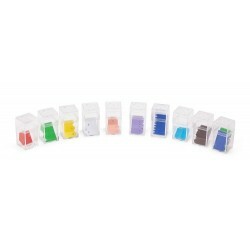 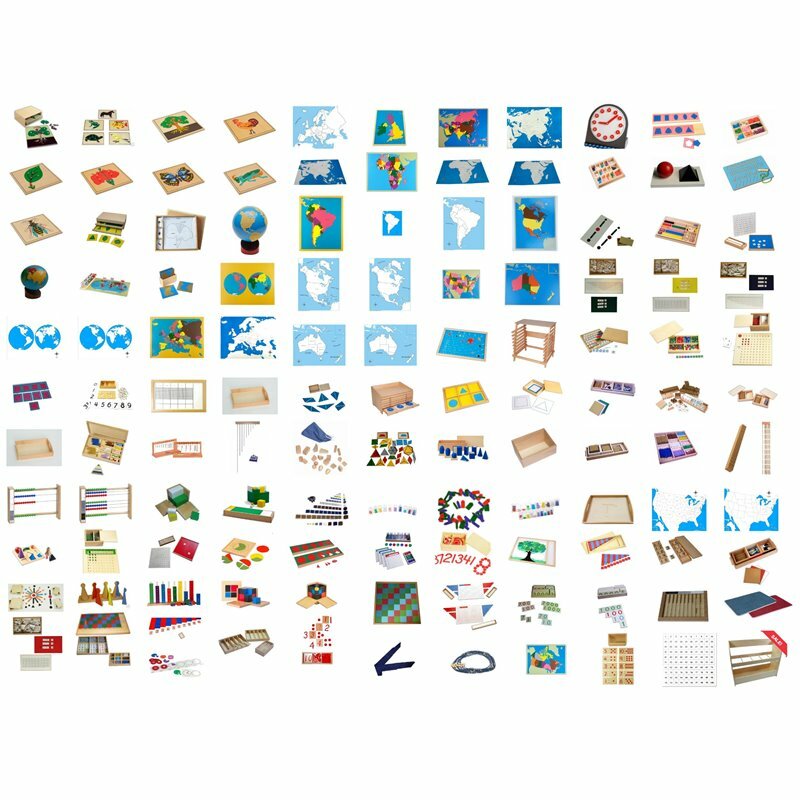 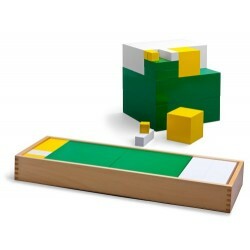 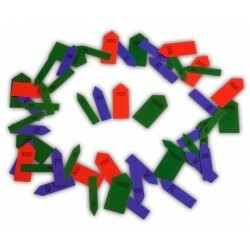 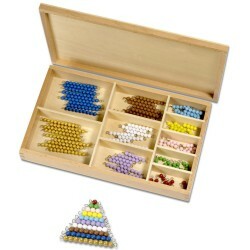 Includes all cubes, squares, rods and beads. 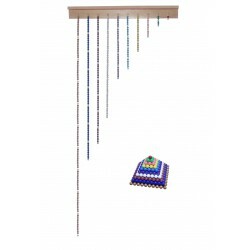 The arrows complement the work with the bead material. 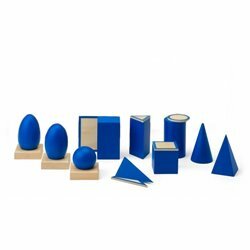 Using the Blue Triangles children learn the basics of surface geometry. 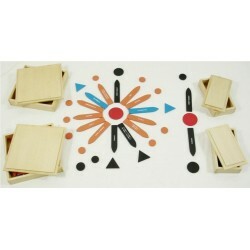 Beautiful cabinet with geometric shapes to trace and feel. 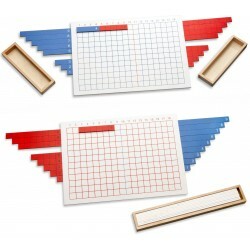 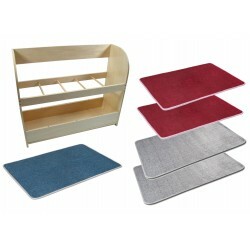 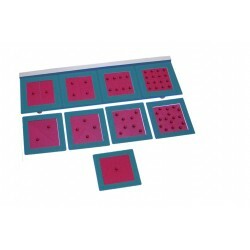 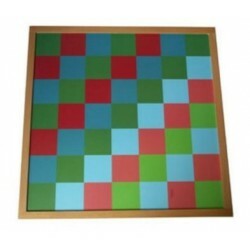 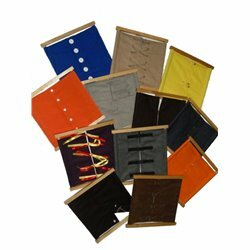 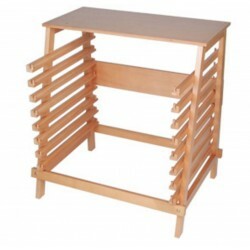 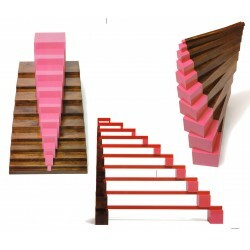 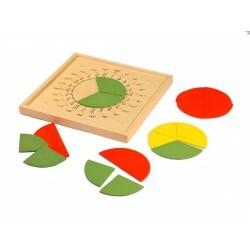 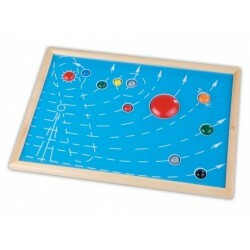 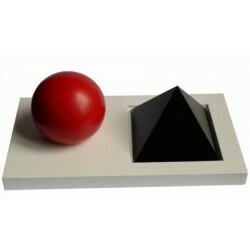 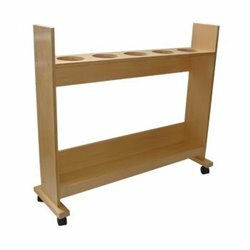 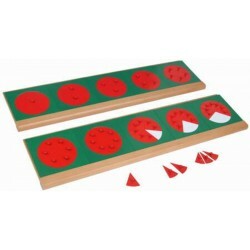 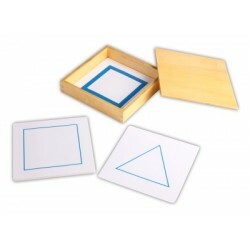 The Geometric Demonstration Tray system is suitable for the introduction of triangles, squares and circles. 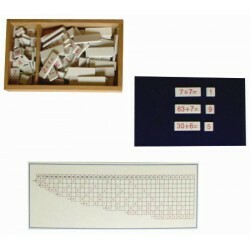 Set of cards for the demonstration trays. 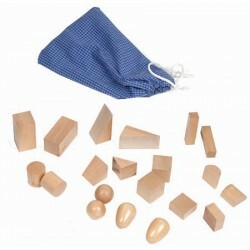 The mystery bag is filled with various geometric shapes. 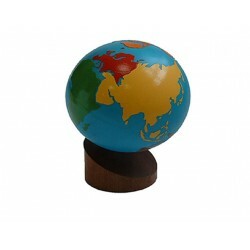 Map 3D objects such as sphere, cone, cube etc. 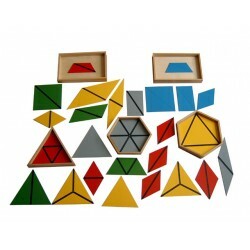 to 2D base shapes. 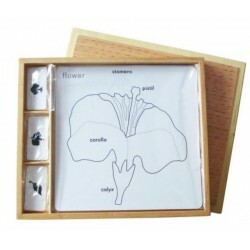 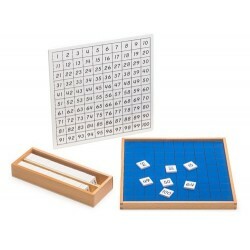 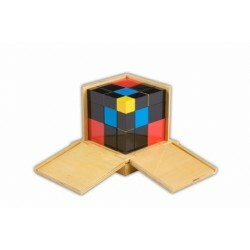 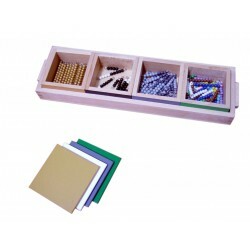 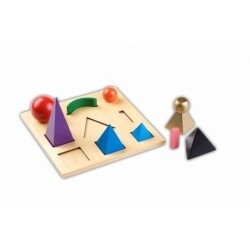 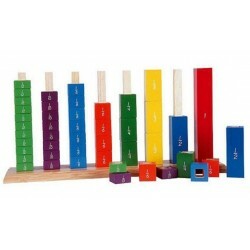 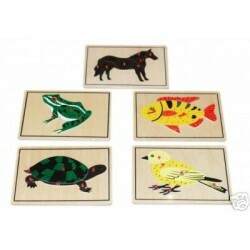 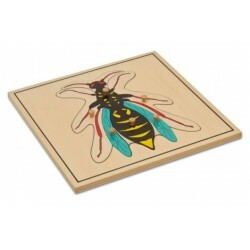 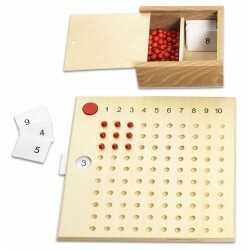 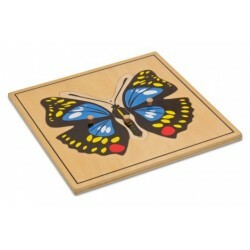 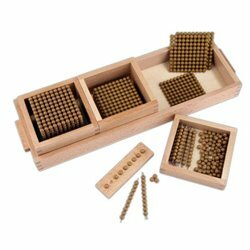 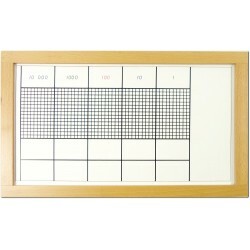 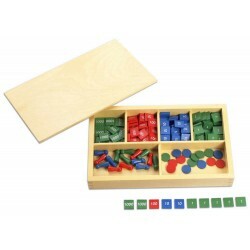 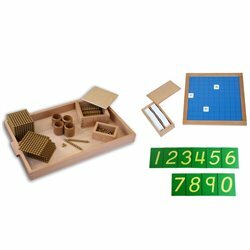 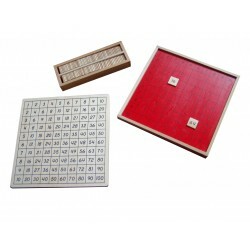 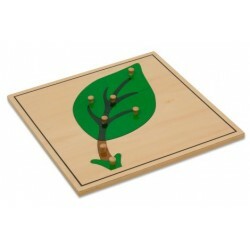 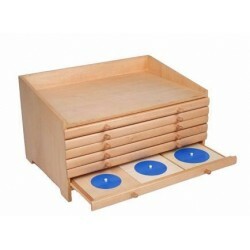 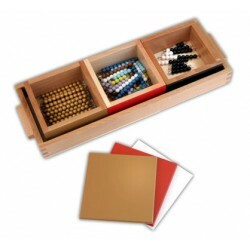 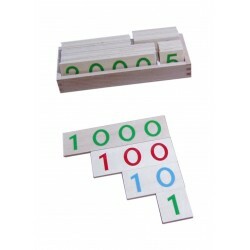 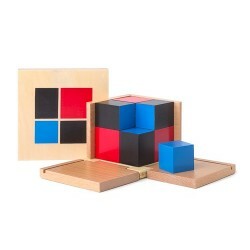 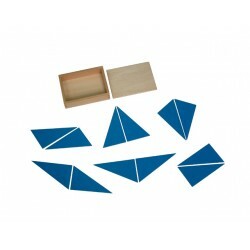 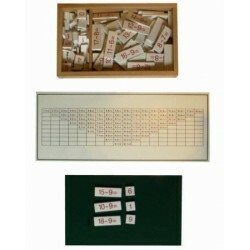 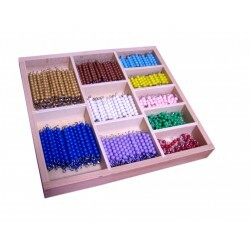 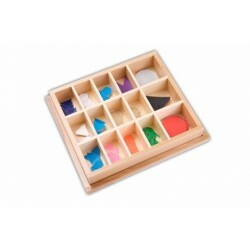 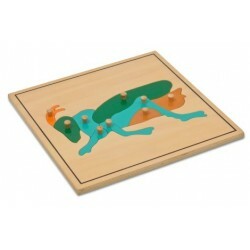 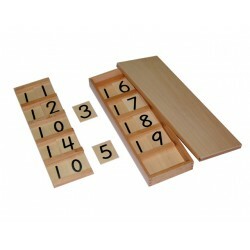 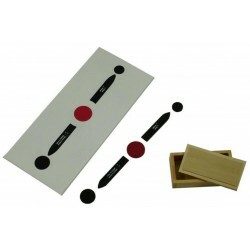 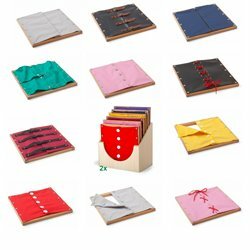 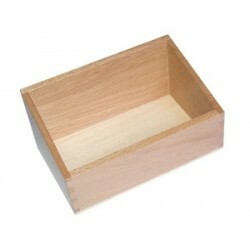 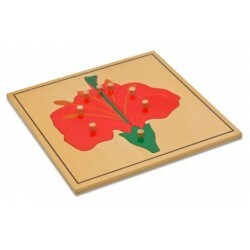 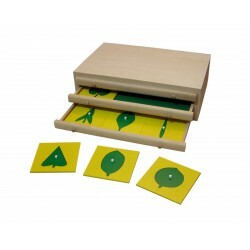 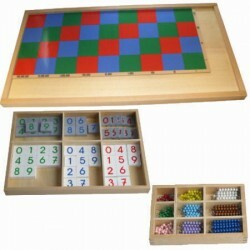 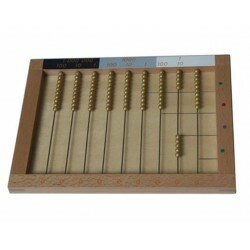 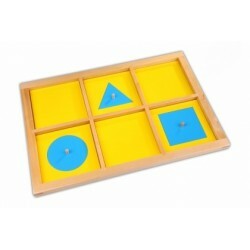 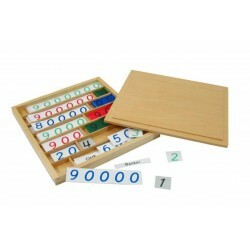 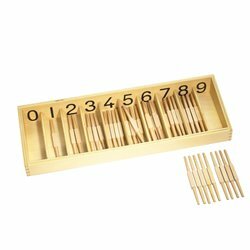 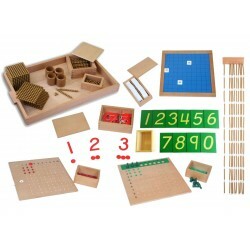 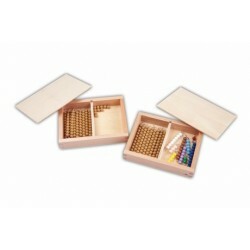 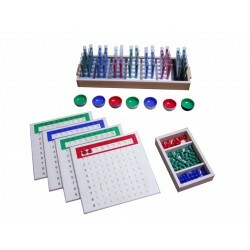 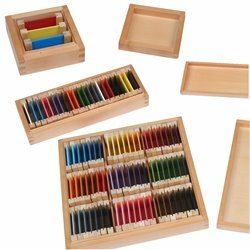 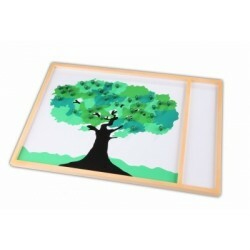 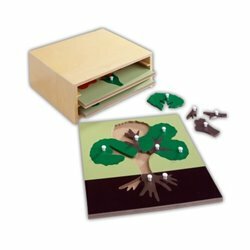 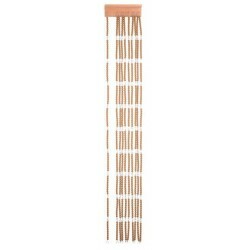 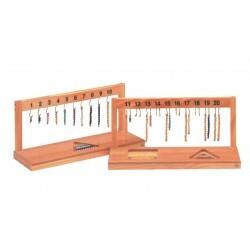 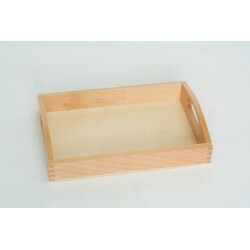 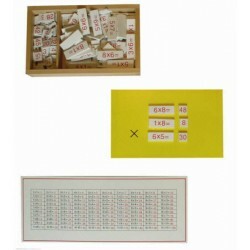 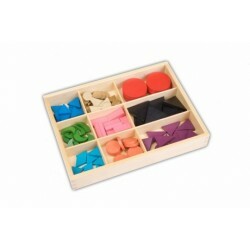 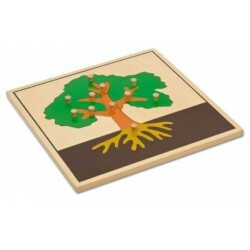 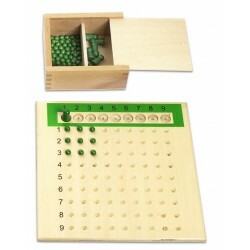 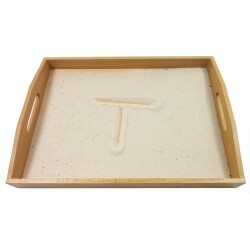 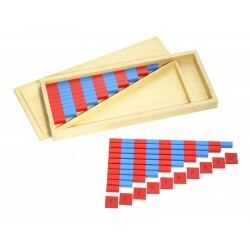 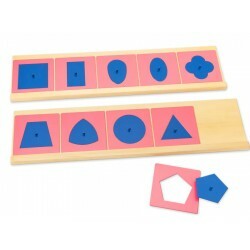 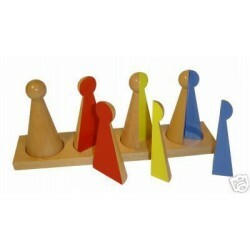 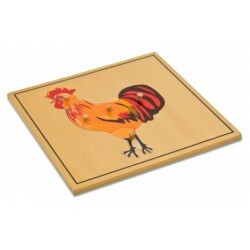 This wooden box is ideal for Montessori instruction cards.